Desserts. We eat them whenever we are angry, bored, happy or sad. It is true that they make us feel better, even if it is just a temporary relief. But living in the world’s most expensive city means we often have to fork out ridiculous amounts just for a pretty dessert. Well, the good news is – that’s not always the case, as long as you look hard enough. Or know where to look. Our team has expanded our waistlines just to curate this guide of affordable and delicious sweet treats in Singapore that everyone can seek comfort from without breaking the bank. You are welcome. 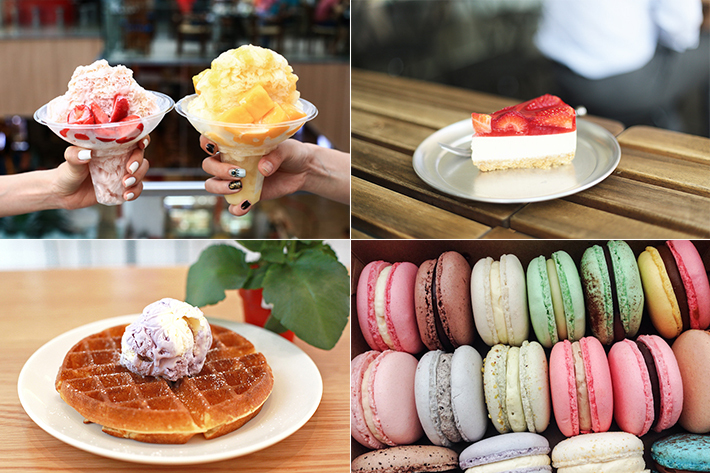 We present to you The Ultimate Guide To 30 Awesome Desserts Under S$8 In Singapore. Singapore is home to many dessert monsters and this craze for desserts has led to a spike in dessert places in Singapore over the last decade. 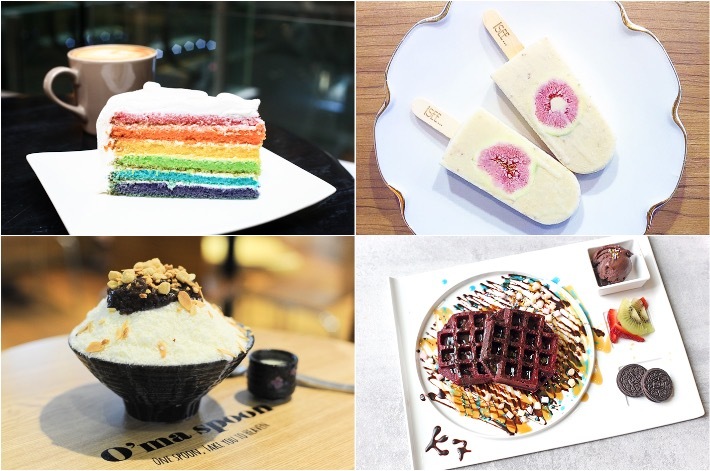 Ranging from the ever popular chocolate waffles to the trending Korean Bingsu, Somerset is one area in Orchard Road, Singapore that boasts a whole slew of dessert options. Just in that area alone, we managed to suss out dessert places housed in both proper dessert cafes and/or served in food kiosks. No matter what kind of sweet indulgence or experience you are looking for, you should find it in this guide. Unless you have been living under a rock, you would have heard of Castella cakes by now as the bouncy Japanese sponge cake is currently the latest food trend that has exploded on social media. It seems that the ongoing Castella cake fad has brought yet another brand to Singapore shores and it is none other than the famous Original Cake from Taiwan—the first cake store in Tamsui Old Street which specialises in Castella cakes. The bakery is so successful among their loyal customers that it currently has four stores in Taiwan and six outlets in Malaysia. Castella Cake Taste Test – Which Is The Best Castella Cake In Singapore? Castella cakes are extremely popular in Taiwan and the hype has recently been brought over to Singapore shores since the arrival of Le Castella and Ah Mah Homemade Cake. Taiwan’s Original Cake is the latest Castella cake shop to open in Singapore. 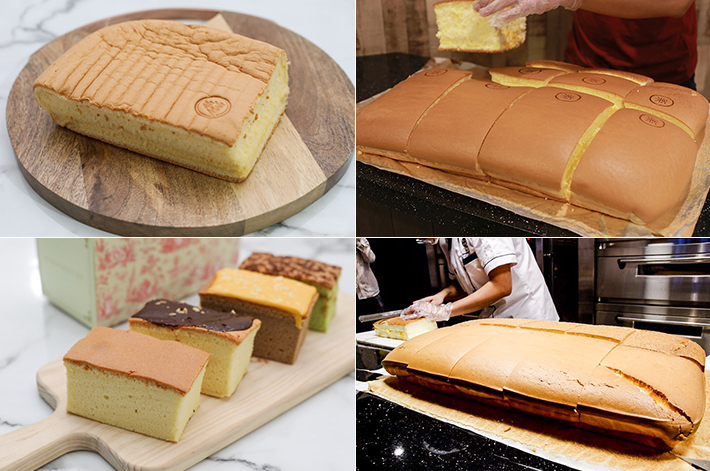 For those who have not been keeping up with this craze, Castella cakes are actually extremely soft and bouncy Japanese sponge cakes that are moist on the inside. These cakes are usually made from simple ingredients such as flour, eggs, sugar and starch syrup. Put the ingredients to bake and the result is one fluffy, jiggly Castella cake. While the waiting time may sound totally absurd to some (be prepared to queue more than an hour), there are many who are willing to queue for hours just to have a taste of the sponge cakes. We braved the crowd and tried them personally in search for the best Castella cake in Singapore. Le Castella, a famous Castella cake shop from Taiwan, opened in Singapore back in May 2017 and it kickstarted a new trend for castella cakes in Singapore. For the uninitiated, a Castella cake is a sponge cake from Nagasaki, Japan, known for its pillow-like appearance and moist interior. Its ingredients comprise sugar, flour, eggs and starch syrup, however, the baking process remains a trade secret. At Le Castella in Tampines One, people begin queuing for this jiggly, yummy sponge cakes literally an hour before the shop even opens. 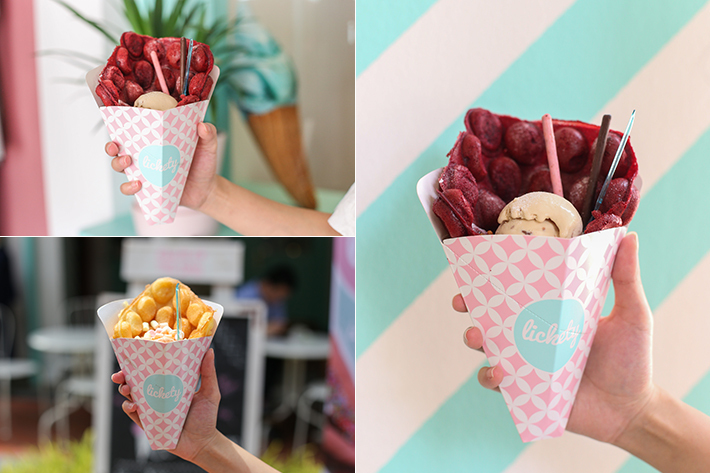 Located at Bussorah Street, Lickety Ice Cream & Waffles—a new halal-owned dessert cafe by the team behind Fika Swedish Cafe & Bistro and Konditori Artisan Bakery—offers a pleasant array of ice cream and egglet waffles that will thrill the foodie in you. Before we stepped into Lickety Ice Cream & Waffles, we were greeted by the ever so aesthetically pleasing Tiffany Blue that layered the exterior of this ice cream paradise. Decorated with pastel-coloured furniture and adorable ornaments, every corner of this cafe made for an Instagram-worthy shot. Located just a stone’s throw away from Outram Park MRT is Keong Saik Bakery, a nostalgic yet contemporary eatery which is the newest addition to the already vibrant food street along Keong Saik Road. Presenting local favourites with a modern twist, Keong Saik Bakery is a suitable place to visit for breakfast or tea. Think crusty croissants, fluffy and dainty cakes and a warm, comforting cup of coffee or tea; there could be no better way to brighten your day.